Sunflowers, lifting our spirits towards the sunlight when lost in shadows. 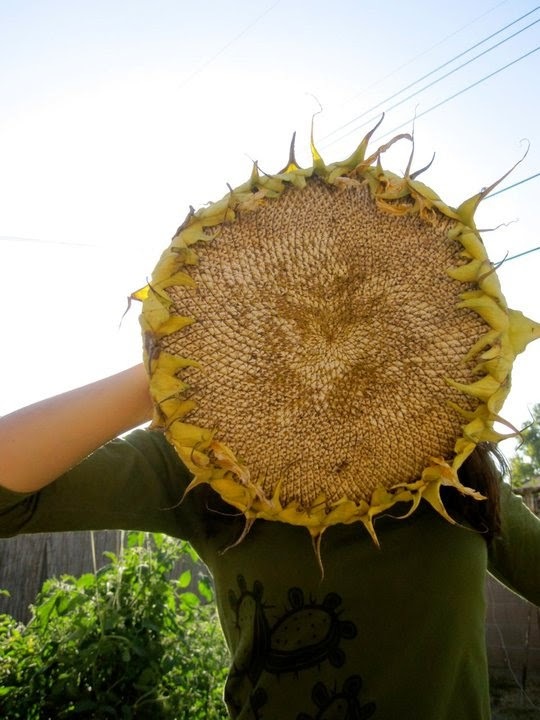 Sunflowers are heliotropic, which means, during their early growth stage their flower heads follow the sun. 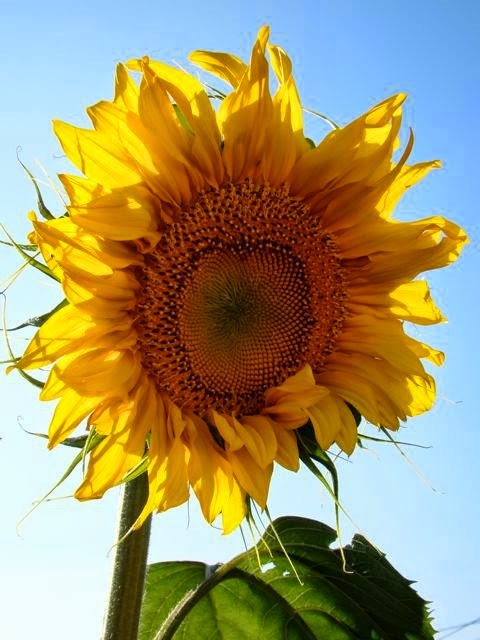 Their genus, Helianthus, comes from the greek word Hēlios, which means sun. Talk about some golden energy! As they mature they will not follow the sun but they almost always face east throughout the rest of their lifespan. Because they are so easy to grow from 'seed to harvest' they're great for beginning gardeners. Sunflowers happily host several pollinators, from loads of bees enjoying pollen to birds enjoying seeds, thus making them great for your garden's ecosystem. Seeds almost ready for harvest. Sunflowers have been used for food, medicine and dye by indigenous folk for thousands of years and were held sacred by the Aztecs. The seeds alone contain a wealth of nourishment and can provide one with sustained energy when feeling sluggish. I always make sure to have some sunflower seeds in my purse or backpack when out and about. 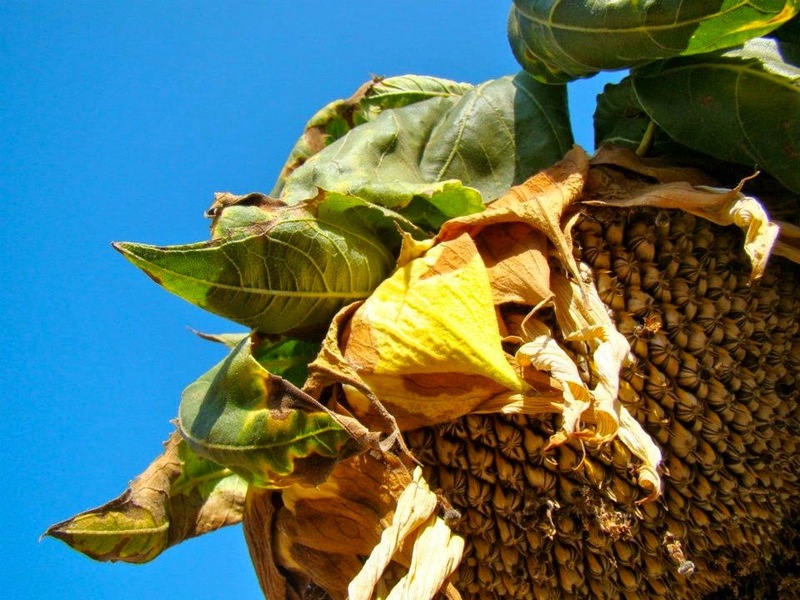 They contain disease prevention vitamins, essential fats, minerals and one of the things to be noted is that sunflower seeds contain arginine, an important amino acid. Arginine helps blood vessels expand more because of the increase of nitric oxide they provide. 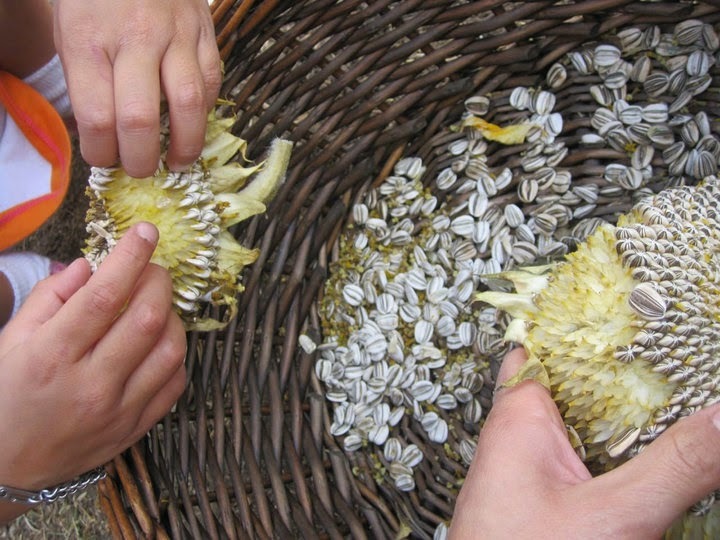 Sunflower seeds also have expectorant and diuretic properties making them great for coughs and colds. You can make a cough syrup out of them by roasting them a bit, boiling them in water with sugar or honey, strain and then add a little bit of brandy. 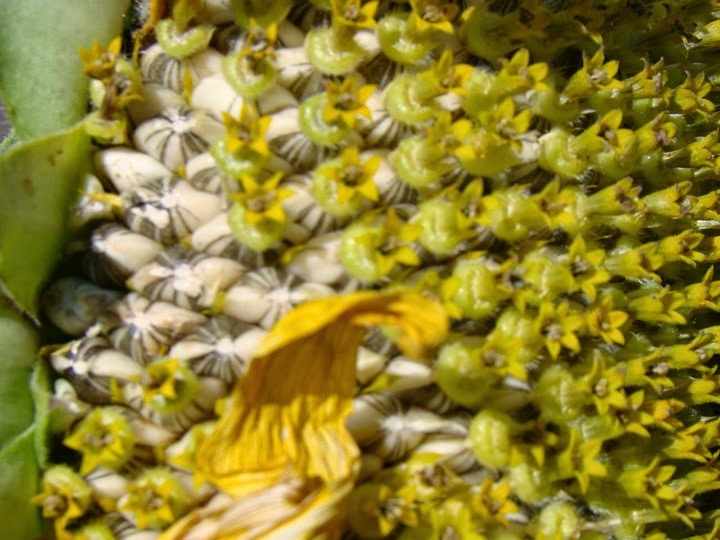 The flower stalk is also great for soil. Save them for a fire and then save the ash for your soil. The ash contains high levels of potash. Seed harvest with my niece. 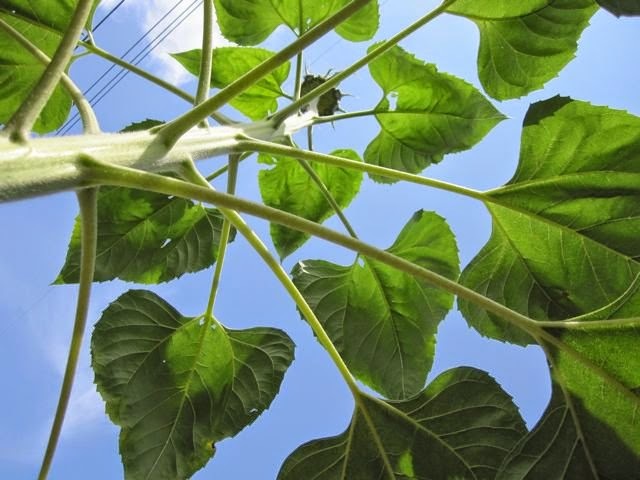 Sunflowers are also bioremediators! They were planted in Chernobyl to pull up radioactive soil contaminants. I think this is one of the most important things to remember when growing and working with sunflowers. In past composting classes I've taken it's been suggested to be sure that you are growing sunflowers, tomatoes, and certain squashes (bioremediators) in healthy soil even when composting them. So, I would consider the soil health before consuming seeds and using any other parts of the plant as medicine as well.